13 recordings - @ 30 min. per Episode. The Roberts Family inherits an English Butler from a distant English relative. A short lived Comedy show from 1951. 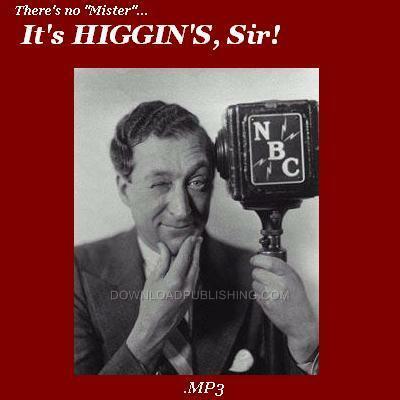 It stars Harold McNaughton as Higgins. This series also stars Vinton Hayworth, Peggy Allenby, Charles Nevil, Pat Hosley and Denise Alexander.